In digital marketing, we love buzzwords. 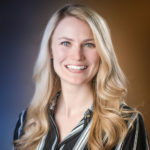 However, with the industry changing rapidly—daily, in fact—it can be difficult to keep up with terminology and easy to get confused. To have an effective and impactful SEO strategy in place, it’s important that we’re all speaking the same language. Misinterpretation often leads to confusion in the strategy and hesitancy from team members to buy into it. Keep your team speaking the same SEO language with layman term definitions (and a few Game of Thrones references) in our insider’s guide to search results. So, let’s start where it all begins, the engine. A search engine is a program that searches for and identifies websites within a database that are relevant to the keywords the user searched for. Ever heard of Google? That’s a search engine as are Bing, Yahoo, and yes, even Ask. The information displayed on the Search Engine Results Page (SERP) is pulled from sites on the internet. Keywords and queries are two other SEO terms often used interchangeably. Marketers use keywords. Users write queries. A query is what you type into Google’s search bar or ask Siri on your phone in hopes of finding a web result that meets your needs. Some of my most recent queries, for example, are “Game of Thrones cast” and “Game of Thrones t-shirts”. Can you tell I’m getting ready for something? Keywords are like a summary of many different queries. 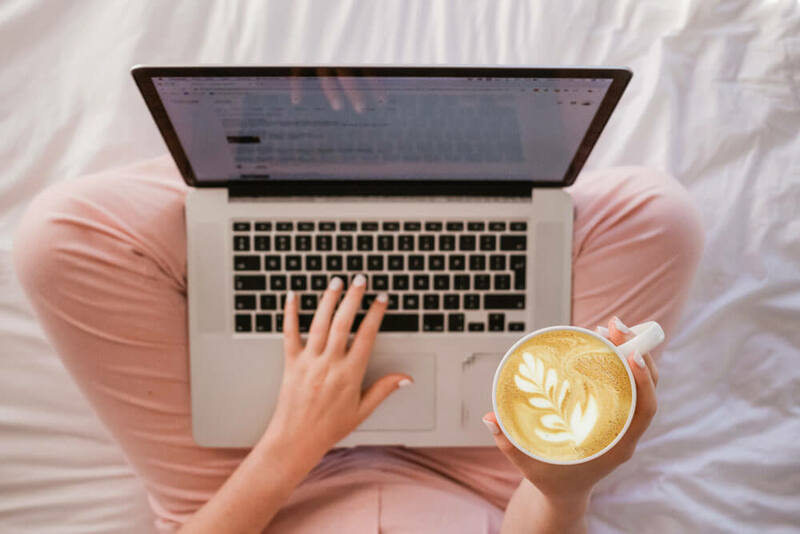 There a million ways to say one thing in the English language; a keyword gets to the heart of the message so that we can target user queries with the right content when they need it. For example, a marketer may be targeting the keyword “Game of Thrones premiere date” but a user’s query may be “what is the game of thrones premiere date” or “when does GOT premiere”. 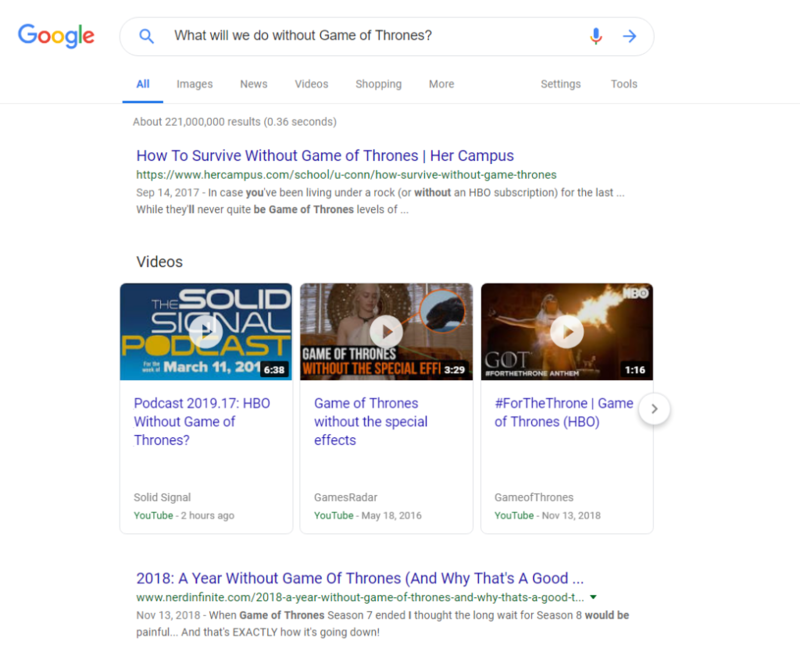 Both queries are semantically related to the keyword “game of thrones premiere date,” and if your content is optimized, the users will see it on the SERP (Yay! You know what that means now). Semantically related keywords are simply words or phrases that are related to each other conceptually. Semantic search is how modern search engines look for web pages to rank. They look for directly matched keywords and attempt to identify the intent of a search and related keywords to serve more accurate results. Keyword rank is used to measure the results of SEO initiatives. A keyword ranked in position 3 would be the third organic result on the first SERP for a specific query. Keyword rankings are the bread and butter of organic analysis and ROI. We monitor rank changes daily, weekly and monthly. Search engine algorithms are updated daily and new web pages are added constantly, so a keyword ranking is likely to fluctuate and must be continuously optimized even to maintain its current position. Monitoring those results closely for your brand’s website can help you celebrate wins of prominent page 1 rankings or quickly adjust your strategy and optimize content to regain keyword rankings that pages have lost. Not many users click “next page” on search engines. Just think about the last time you jumped to page 2. Bottom line: Having a low page rank (ideally page 1) results in more traffic to your website–and if the SEO strategy is done right, more conversions. Now that we speak the same language, let’s kick start your SEO strategy. Contact us for help.